SHANNONS Legends of Motorsport continues on 7mate this weekend with a special sit down with the only man that can claim to have won both the Australian Touring Car Championship and Australian Rally Championship – Colin Bond. The 1969 Bathurst winner joins Neil Crompton and the Shannons Legends of Motorsport team to talk about a career that has taken him all over the world, both on tarmac and dirt. The Seven Sport video archive has provided some fantastic material to illustrate Bond’s illustrious career, including rare 1969 Bathurst vision from the actual race telecast. 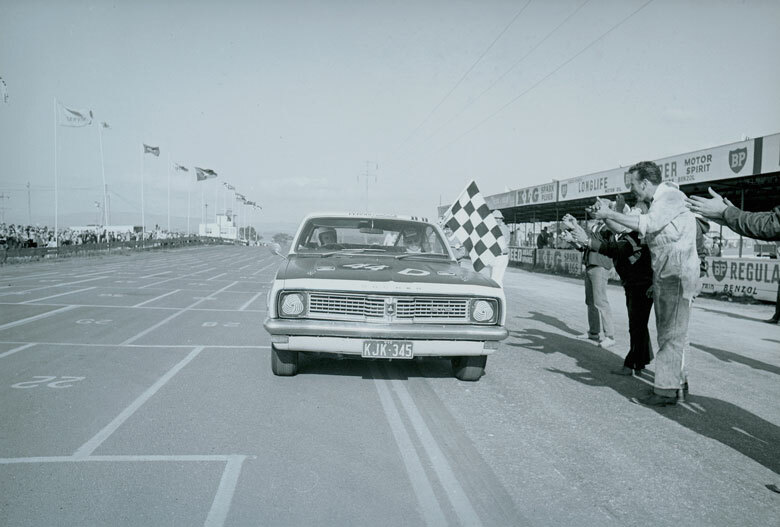 His time with the Holden Dealer Team, in Allan Moffat’s Ford squad and then later running his own Alfa Romeos and Sierras is also well-documented by the fantastic vision housed within the Seven Sport vault. Co-host and researcher Aaron Noonan returns with some more golden vision from the vault, much of it unseen in many years and unearthed from deep in the library. Mark Oastler returns also to take an up-close look at a Holden Monaro GTS 327, similar to the car Bond used to take victory at Bathurst in 1969. There’s plenty of familiar old vision as well as some rare gems so tune in for the series that celebrates Aussie motorsport’s golden era this Saturday, November 8 on 7mate at 5.00pm nationally in all markets. The 11th episode in a 12-part series celebrating Australian motorsport was filmed in front of a live audience at the National Motor Racing Museum at Mount Panorama, Bathurst. Every episode of the Shannons Legends of Motorsport is also available to watch on the Shannons Club website after it first airs on 7mate. Hit this link to head to Shannons and view this and previous episodes.